At Steppacher Law, in Scranton, Pennsylvania, we represent the rights and entitlements of injured and disabled workers to help them secure the workers' compensation and Social Security Disability benefits they deserve. As staunch advocates for those suffering an injury or loss through no fault of their own, we also handle all types of personal injury claims, and we are fully committed to fighting hard on your behalf to help you obtain the maximum amount for the damages you incurred. Serving a diverse range of clients throughout northeastern Pennsylvania and all across the state, the attorneys at our law firm have more than 30 years of experience. Over the course of our careers, we have successfully handled thousands of cases, so we have the extensive knowledge and resources necessary to help you achieve the most favorable outcome possible for your situation. 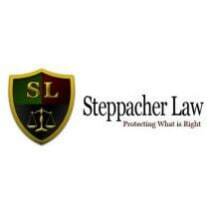 To begin the process of receiving the highest level of advocacy and support from a local attorney you can trust with your most sensitive legal issues, you can contact Steppacher Law, by calling our office or visiting our website to schedule a free initial consultation.